Executive Towers is a retro-style high-rise apartment building designed by local architect Al Beadle boasting features from the 60s and the 21st century. 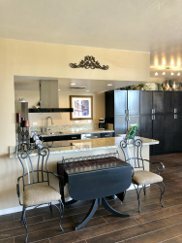 Centrally located in the heart of midtown Phoenix, these condominiums are perfect for individuals and couples looking to be transported back in time with modern amenities. 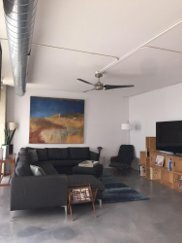 Featuring 1960’s charm, these condos distinctly combine modern features and amenities with accents from the 1960’s. 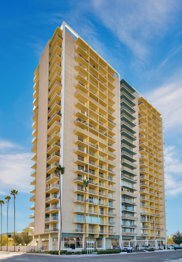 Executive Towers offers both 1 and 2 bedroom floor plans, which include kitchens with both modern and 1960’s appliances. The community also offers amenities including tennis courts, parking garage, pool/spa, and a 24-hour concierge. With views facing north and south, all residents have spectacular views of midtown Phoenix and the surrounding area. 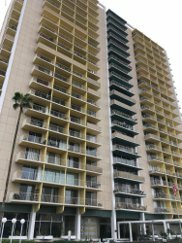 Built in 1964, Executive Towers condos are located in midtown Phoenix between Central and Indian School Road and just minutes from the ASU campus, museums, Phoenix Metro Light Rail and local events. With the Phoenix Light Rail just a few blocks away, you can easily get to the Phoenix Sky Harbor Airport, Downtown Tempe and Downtown Phoenix.